Powered by a deep, unstoppable bass line and wall of shimmering synths , the song would be great enough as a straightforward dance tune, but thanks to singer Panel Rivera’s warm vocals and vulnerable lyrics, also stirs up some emotional resonance. The focus on teasing out real emotion spills over into Pavel’s songwriting, the drawing from the narrative aspects of of some unlikely sources. ”I also like how, in folk and country music, lyrics tell a story and are usually strong,” said Pavel, with “Everyday Chemical” telling a story about the addictive nature of modern technology. 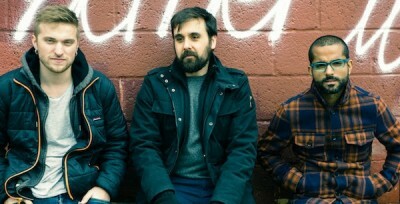 NYC fans can catch Twintapes at the Mercury Lounge on April 4th. Listen to ‘Everyday Chemical” here.